D’or offers an array of ultra-modern units that comprise one-bedroom & two-bedroom layouts. It boasts of chic appliances, epicurean kitchens, as well as bathrooms designed to be functional. D’or Condos is planned to have two towers: a 22-storey northern tower and 6-storey southern tower, with a total of 350 mixed condo units. The development offers an array of ultra-modern units that comprise one-bedroom & two-bedroom layouts. This is a much sought-after address at which people desire to own a home. It boasts of chic appliances, epicurean kitchens, as well as bathrooms designed to be functional. From simply a vacant land, Thornhill City Centre which started 10 years ago has evolved into a magnificently implemented master-planned community. This site has been honoured with numerous prestigious awards, truly epitomizing the apex of city master planning. Currently, about 2,000 families reside in Thornhill City Centre. This is actually a community that mixes lots of things beautifully – nature, facilities, transport and lifestyle – around a picturesque central park. It features street side town homes, an array of exceptionally designed high-rise buildings and a combination of office, retail as well as community-focused establishments to complete what an excellent neighbourhood should look like. D’or Condos are conveniently located close to the entrances to Highways 7, 407 and 404 making it extremely easy as well as convenient for motorists to move around. Finch Subway Station is only a few minutes’ walk away. With a network of transit systems such as GO trains, YRT/VIVA buses, TTC subways plus highways in place, you can get around GTA with ease regardless of where you are headed to. If you desire true luxury and elevated comfort in life, look no further than D’or Condos. This is the ideal place to call home. 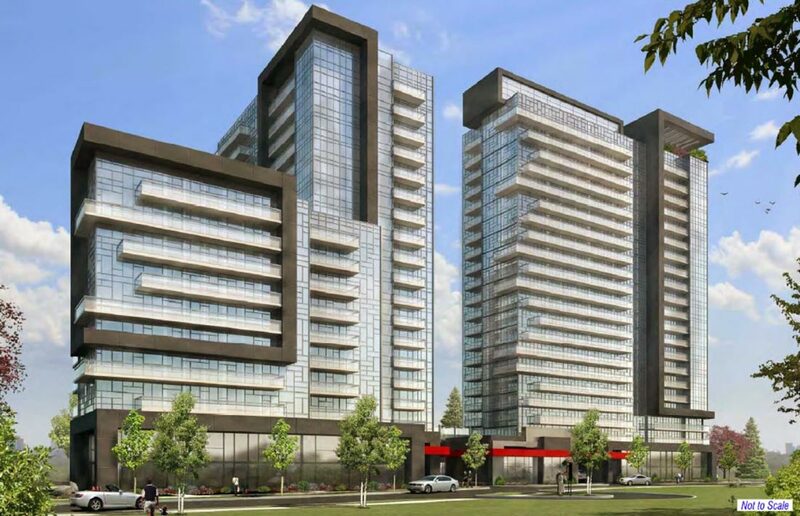 Cityzen Development Group is a top name in the construction industry in the GTA and beyond. Many landmark and luxurious homes plus some of the neighbourhood’s most architecturally exceptional buildings bear this giant developer’s signature. The company is based in Toronto with projects across the Greater Toronto Area. Fernbrook Homes is Vaughan-based real estate and building company. Its buildings are located in GTA’s most sought-after neighbourhoods. It has a portfolio of remarkable projects with 50-plus developments in Canada and the U.S.